Michael Oliver`s Half:I love Madrid! The English judge Michael Oliver became the subject of an increased interest from Juventus fans after the disputed penalty, which he judged in the 1/4-final-rematch against Real in Madrid. The White Ballet yielded 0:3, and the game went on extras when the Arbitrator pointed to the white point and Cristiano Ronaldo realized and so Real went on to the semifinal with a total score of 4:3. 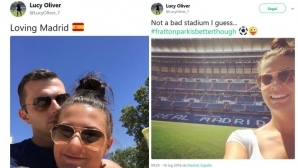 Oliver`s social networking profile and his wife Lucy, who is also a football referee, has led to the desired result. In 2016, they explained in love to Madrid and Santiago Bernabeu, where they were on a tour. I love Madrid! It is not bad this stadium, wrote Lucy Oliver in Twitter. Naturally, both of them were attacked by Juventus typhus, who expressed their dissatisfaction with some more compelling expressions. 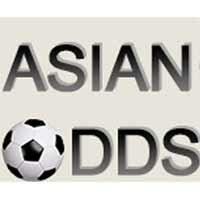 `Idols, come to Milan at my expense, ` argues AC Milan.